Choosing a starting weight can be easy. Nobody wants to be “that” person in the gym, flapping her arms with weights that are too light, or making faces worthy of a slasher flick while grunting and slamming weights to the floor. Figuring out which weights to start with in a resistance training program really is easier than rocket science and can be determined several different ways. One rep max, or 1RM, refers to the maximum weight an individual can move for a single repetition and has been a long-standing method for determining the correct weight range for any given exercise. The term is often thrown around in the bodybuilding and powerlifting world but is not exclusive to the realm of immovable dumbbells and bulging biceps. Anyone can use this method to determine an appropriate weight to start with. Exploring the 1RM is best done well warmed up and with a partner to make sure weights can be spotted if too heavy. Keep the weight heavy and go for only three to five repetitions. Continue increasing weight until fatigue kicks in at only on rep. From there, calculate what 70 percent of the 1RM would be and use that result as the golden number to start lifting with. Muscles strengthen and develop based on a principle called overload. Overload works exactly the way it sounds: muscles must be pushed beyond a level they are accustomed to in order for development to occur. Based on the principle of overload, weights should be chosen that bring the muscle to a state of failure within the chosen repetition range. If not pushed to failure, muscles will have no reason to change into a version stronger or more toned. A simple way to determine a starting weight is to choose a repetition range, grab a weight and work through the range. If failure is not achieved by the last two or three repetitions, move up in weight and try again. If the first try is way off the mark, be sure to move up in weight significantly enough to not waste time repeatedly trying with weights that are too light. For anyone just starting out it is wise to start conservative and work for a range between eight and 12 repetitions per set. However, keep in mind that different strength-training goals are achieved through different methods. Mass is better achieved with heavier weights and a lower range of three to four repetitions. 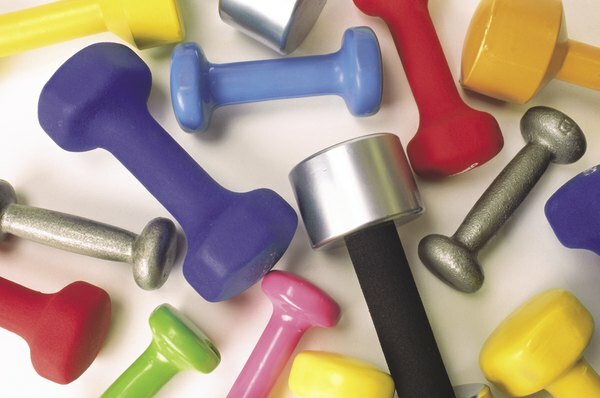 Strength and tone are targeted with lighter weights and a range of 10 to 12 repetitions per set. That being said, don't be afraid to move heavy weights. A balanced weight-training program should alternate between heavier weights and lighter weights. Heavy weight does not automatically equate to looking like a man or the Incredible Hulk. 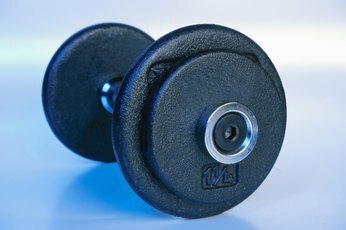 Moving heavier weights is essential for developing muscles to begin with so they can eventually be toned and sculpted. Always start a weight workout well warmed up with the appropriate muscle group stretched. Start conservative with weights and make sure exercises are performed with proper form across a full range of motion. Consult a fitness professional if unsure about how to perform any particular exercise, and be patient. Results take time but are worth the effort.